I think you are exactly right about social media playing a big role in IM over the next few years. I have purchased your Covert Video Press product but have not had a chance to do anything with it as of yet. But I will be using it in the near future to see how it does. Social media is huge and gaining fast. I can go viral on social media long before a page or post is even gets one hit from SERP. I have given Google the finger and started going 100% social media a month or so ago and I have not looked back. I still get search traffic and I see that as a small bonus only. I am using it with your covert Pinterest Theme also which awesome!! Hey Craig. Sound is only available in the pro version of the Covert Messenger plugin. The chat I have in my CM ad on this page, is just me writing stuff in the ad like you normally would. Yes. I totally agree with everyone about the great potential of social media these days, and for the future. Those of us who are serious about learning to hone its potential will surely reap its benefits long term. I am a great advocate for social media marketing and take time to teach others to try it out the right way. I myself have purchased a lot of your covert products (and have taken all the upgraded versions) because there’s just so much I can use it for (personally as well as my clients). I never endorse anything that hasn’t worked well for me first, a matter of maintaining integrity in the industry. Good job guys on CovertStoreBuilder, CovertVideoPress, ActionBar, Messenger, and a whole lot more! Truly, you are making tools that help many of us and our students profit more effectively. Hey guys just wanted to tell you I love your products! I have a ton of Covert products because they WORK. Whenever I get an email from IM Wealth Builders, honestly, I don’t read it… I go straight to the link because I know their products work and they take their customers very seriously. You are the rare instance where I read about your products. My first theme I purchase was supported 110% and you have gain my confidence in your products. The CSB and CSC plugin and theme have been the ONLY ones regularly updated of those I’ve bought this past six months. No-one else has issued even ONE update. IM Wealth Builders for the win! I LOVE your products and excellent customer service! I’ll probably purchase Covert Video Theme in the next few minutes…. I finally got my site up today and loaded up with products. The theme was just awesome to use. Very easy and great functionality. I’m already doing some of your traffic suggestions, so hopefully it won’t take too long for visitors to show up. Yes I believe that social media is the in thing, started since November 2012, and got a few sales. It was a good sign for me, started affiliate in 2011 doing SEO but it was such a sad experience (wasting time & money) – not a single sale until I switch over to social media since November 2012. Recently purchased the Covert Store Builder. This will be my theme! 🙂 Thanks for a great product. Really enjoying Covert Store Builder. This is a fantastic plugin and very easy to fill and maintain. Looking forward to social activity with this as well. I’m giving you a Thumbs Up, on Social Media..It is the way to go, start Networking with others..It’s a good thing..I have your Covert Action Bar Pro, just love it! Thanks guys.. 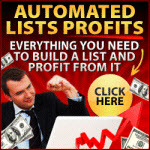 Thanks for the greatest internet marketing products. I just brought brought Covert Store Builder. I was reading over the tutorial chapter. I have seem some coding. Do we need to know coding in order to run this store? Previous Previous post: Why Pop Up Blockers Were The Best Thing That Ever Happened To Pop Up Advertisers!